Transformers wave 2 in hand w/ pics! 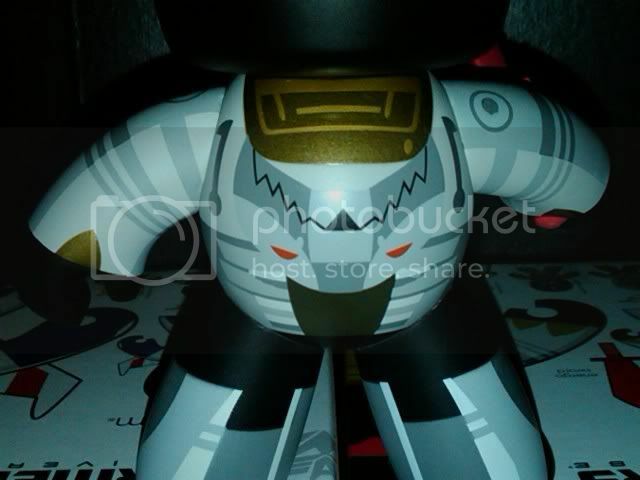 By ARE-JAY, February 8, 2009 in Mighty Muggs! Got these guys in the mail today and as usual, took some pics to share with you guys Starscream is my new favorite! He has slits in his back to slide the wings into. Grimlock is pretty cool and I was surprised to see the dinosaur head painted on his back LOL On another note, it would seriously be a shame if these are the last of the transformers muggs, they are my favorite line currently! I was gonna say He really looks great, though. I'll definitely be picking him up. Starscream is truly a thing of beauty! I am still eagerly awaiting wave 1 to show up around here so I can snag Soundwave but it looks like I will need to pick up Starscream and Grimlock because they both look awesome! Just seen your post over on the Mugg Forum AJ. Nice photo's. I quick question if you put the wings in the up postion doesn't that make the decpticon symbols upside down? I know with my limited TF cartoon knowledge that the wings go up but I'm not sure on the symbol postion. karamazov80, care to clear this up for us? There is actually a fair amount of debate over whether the symbol should be right-side up or upside-down when SS is standing up. In the cartoon, they were typically upside down (though not always, I don't think) whereas on the toys (box art and instructions), they were often right-side up. 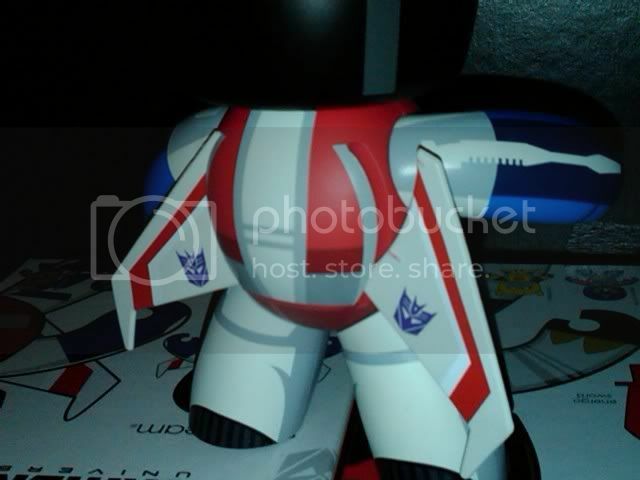 MP Starscream has them upside down, as does the Henkei/Classics Starscream. 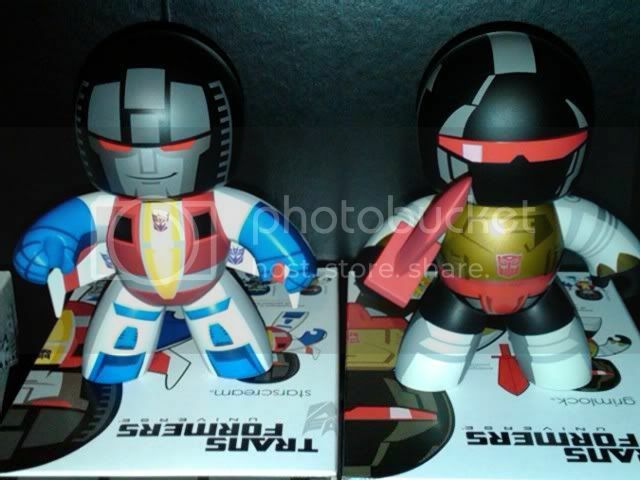 I don't know which was technically intended by the makers of TFs, but convention now seems to treat them as correct when they are upside down, as with the Muggs. Seeker logos are upside down. Right side up is incorrect. Next question. FYI, the jets sharing Starscream's mold are known as "seekers." Would be nice if we could get Mugg versions of Skywarp and Thundercracker. 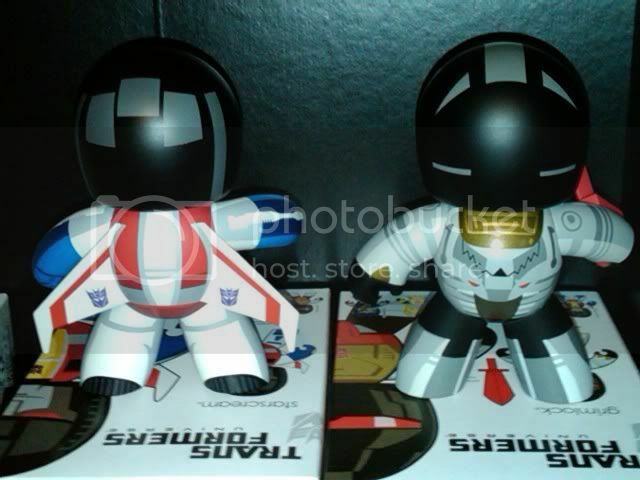 I still think those could show up as con exclusives as SDCC. Well, at least that's what I'm hoping for. And you know there'll be a ton of customizers making them too. My gut is telling me Sunstorm for SDCC. Because Hasbro loves him. Then again that could be the Mexican food I had last night talking to my gut. 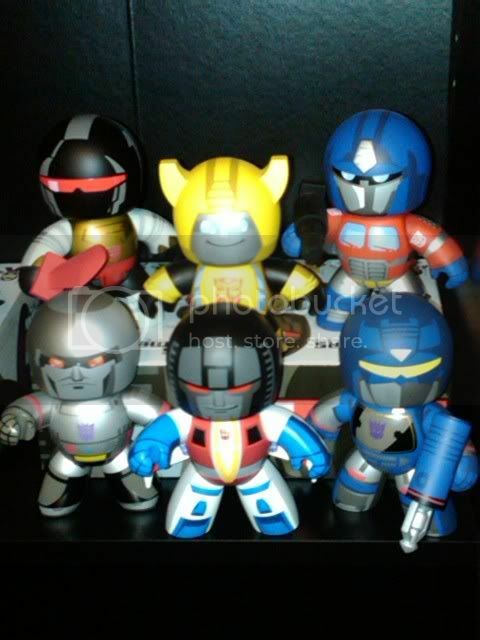 Do you think they would release a TF Mugg con exclusive if the line is dead (which may be the case, given cancellation of the Jazz wave)? Alternators and Classics Nemesis Prime(s) says yes. Along with Titanium Skywarp. I didn't even think about that! Weird they would do that, instead of giving the people something that might help to promote a thriving line, but. . .at least with Classics Nemesis Prime, he foreshadowed the re-birth of that line with the "Universe" figures. These are up on hasbrotoyshop now. And you can still use the smile8 promo code for 10% off. I ordered these (and Destro and Baroness Muggs) because I think these second waves are going to be harder to find at retail.